“Bootstrap” – Ensembles – Download – Symphony. 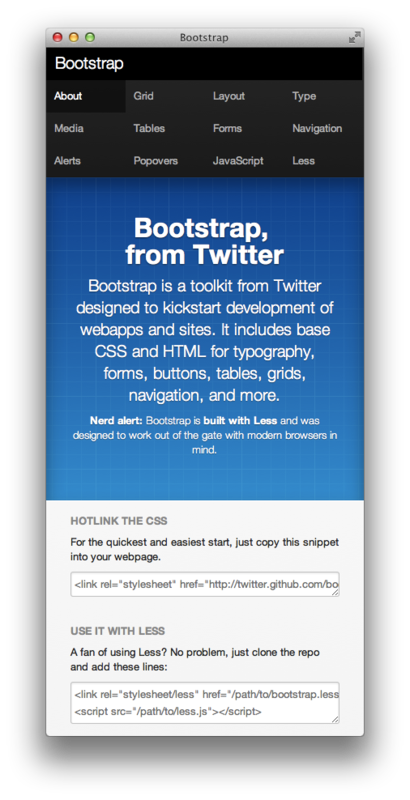 To view the original -- checkout http://twitter.github.com/bootstrap! For this ensemble, the original has been modified to use the Sections Grid from the Markup Library to enable the markup and styles from the Bootstrap toolkit to be used in responsive web design. The ensemble demonstrates the possibility of using two sections in Symphony to manage snippets of HTML and dynamically arrange the content of a complex page layout, using a fluid grid system. 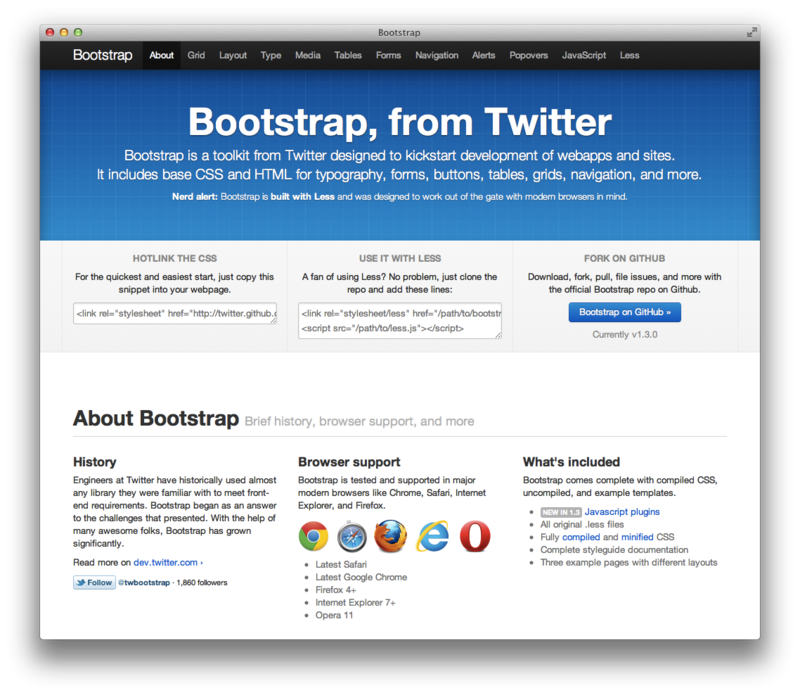 The layout is based on modifications to Bootstrap, from Twitter to create a responsive version of Bootstrap, as a fork of the original repository on GitHub. This will clone version 2.2.3 of the Symphony core and recursively clone all submodules, including extensions and the workspace, to be able to install Symphony with the responsive version of Bootstrap. Or, if you don't want to use Git, just download the complete ensemble from GitHub as a ZIP archive. For instructions on installing Symphony, refer to the README file in the master branch of this ensemble, which is a fork of the master branch of the Symphony CMS repository, modified to include submodules for additional extensions and the workspace. You can also find guides for installing and using Symphony on the Symphony CMS site. Or, if you just want the HTML and CSS, just clone the responsive branch of the Domain7 fork of the Bootstrap toolkit. All changes have been added to the css directory, and are demonstrated by the index.html in the responsive directory. A responsive page template example has also been added to the examples directory. The responsive version is still a work in progress and the CSS has not been optimized or minimized. 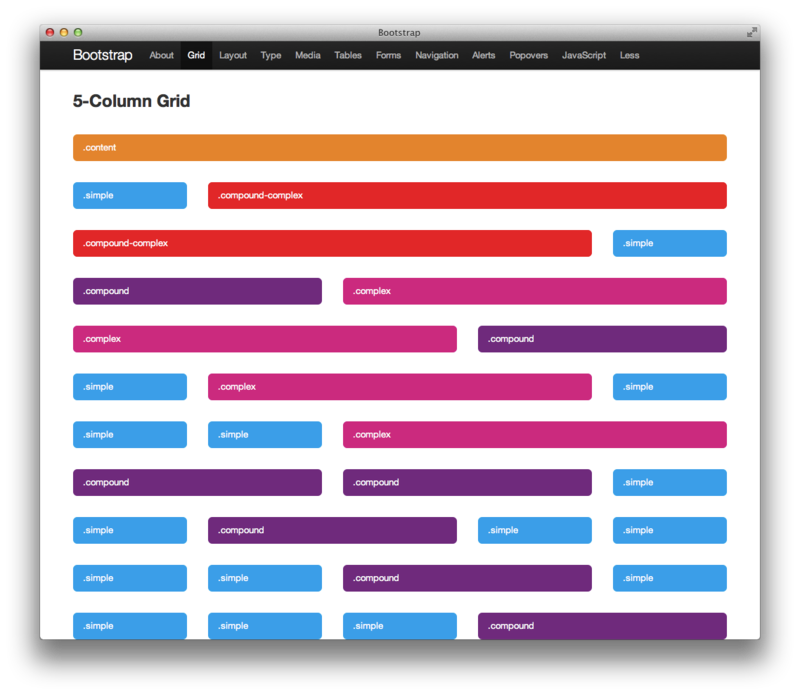 There is still work to be done on the form fields, navigation and other design patterns to optimize them for use in responsive web design. As always, feel free to fork the repository, make changes and submit a pull request to improve on this first attempt at a responsive version of Bootstrap. 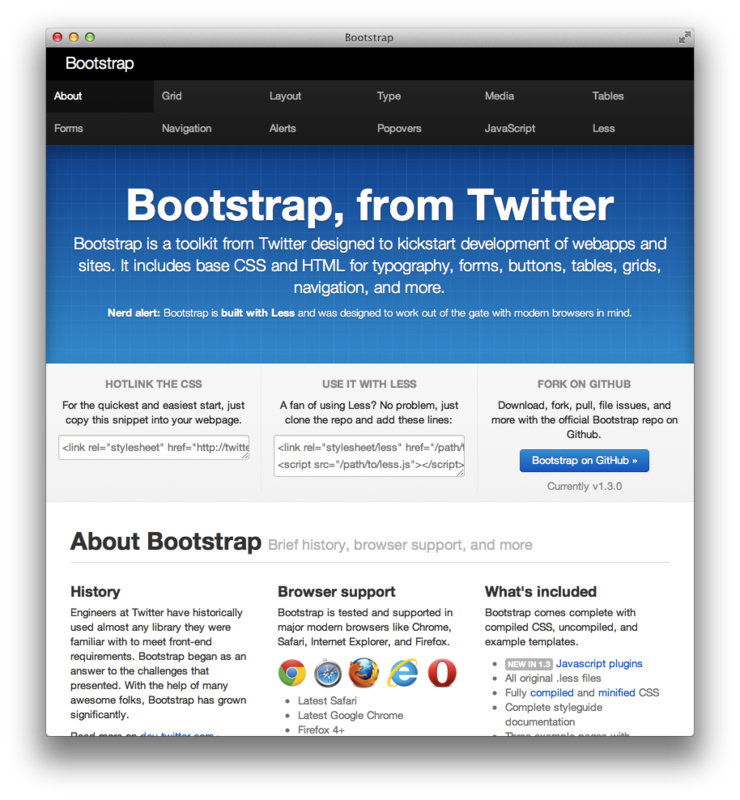 Please log any issues you find for the responsive version of Bootstrap using the issues tracker on GitHub. Please log any issues you find for the Symphony Bootstrap Ensemble using the issues tracker on GitHub. Please log any issues you find for Symphony CMS using the issues tracker on GitHub.